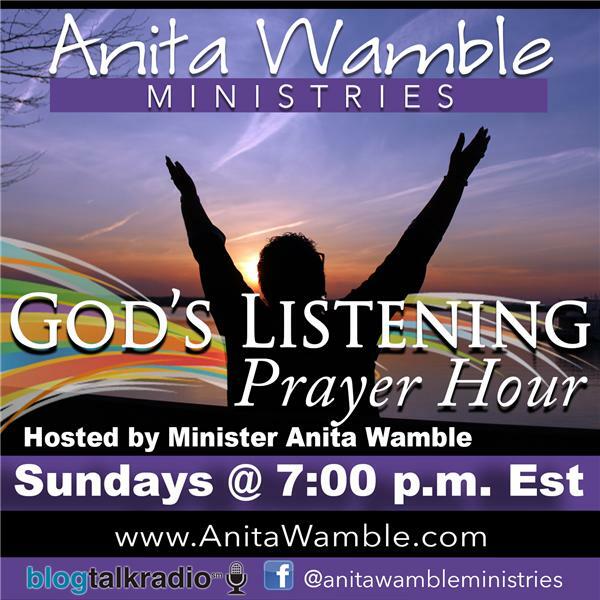 God's Listening Prayer Hour, hosted by Minister Anita Wamble, is a Live broadcast discussing today's trending topics and how God's word can be applied. Callers are encouraged to participate. Tune in and listen to our introductory epidode, get to know the host, and hear what we're going uncover on up-coming shows. Call in to suggest topics you would like to talk about.